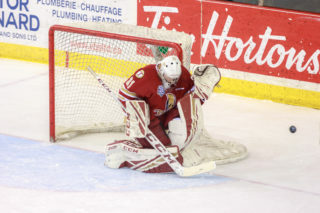 BATHURST – After a decisive loss to the Halifax Mooseheads on Monday the Acadie-Bathurst Titan returned to home ice Tuesday evening for a date with the rival Moncton Wildcats. Despite the two teams being far apart in the standings it turned out to be an exciting contest, especially in the third period. 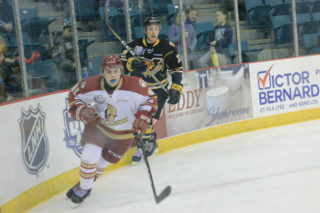 Charles-Antoine Giguere scored the first goal of the game and the only tally of the first period at 15:58 on a two-on-one to give the visitors a 1-0 edge after one. The second period saw the Wildcats extend their lead with a goal from Dylan Seitz at 9:20 and then another from Elliot Desnoyers at 11:47. 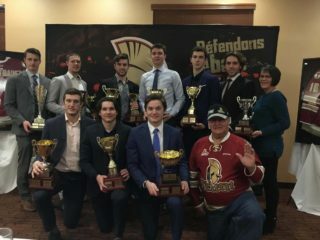 Nicolas Kingsbury-Fournier got the Titan on the board at 14:41 against the team that drafted him in the 2018 QMJHL Draft. Alexandre David picked up the lone helper on Kingsbury-Fournier’s sixth of the season. Trailing 3-1 midway through the third Bathurst was able to muster up some offence and make things interesting. Oliver Turan’s point shot found its way through the crowd in front and into the back of the net to cut the home teams deficit to one with under eight minutes remaining. A couple minutes later Adam Capannelli restored a two-goal lead for Moncton but Evan MacKinnon would respond 21 seconds later making it once again a one-goal game. 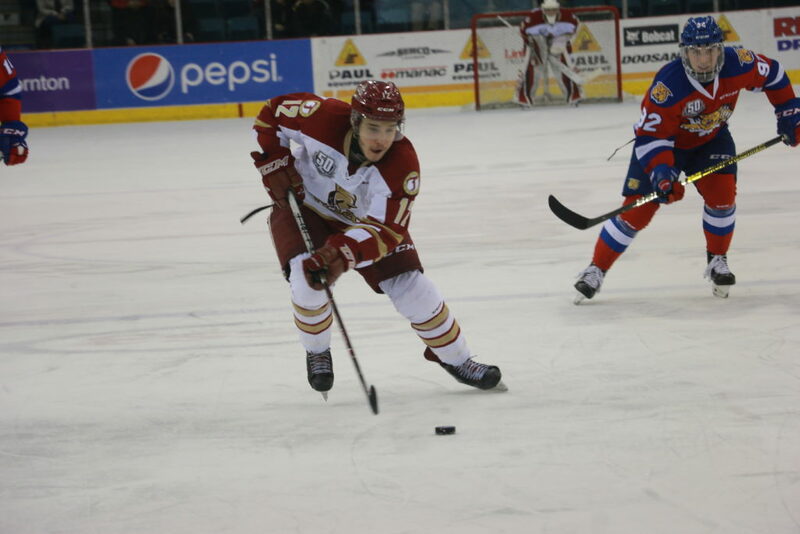 Liam Leonard notched the only assist on MacKinnon’s eighth of the campaign making it 4-3. The Titan tried for the equalizer with two minutes to go as they pulled the goaltender in favor of an extra attacker but Jakob Pelletier would put the finishing touches on a 5-3 victory for Moncton with an empty net marker at 19:36. In his first career game in the QMJHL, Felix-Anthony Ethier made 25 saves for the Titan in the loss. 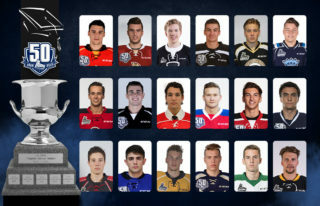 The Pointe-Calumet, Quebec native was a sixth round pick in the 2018 QMJHL Draft.